The main objectives addressed by USAF 2019 budget include F-35A, KC-46, B-52 new engines, B-21 development, AWACS modernization, T-X trainer aircraft and Light Attack aircraft. USAF 2019 Budget gives priority to the competition with China and Russia. The U.S. Air Force budget request of $156.3 billion for fiscal year 2019 builds on the progress made in 2018 to restore the readiness of the force, increase lethality, and cost-effectively modernize. Secretary of the Air Force Dr. Heather Wilson said the budget request is aligned with the National Defense Strategy, prioritizing long-term competition with China and Russia. Air Force Chief of Staff Gen. David Goldfein said the budget also moves the Air Force in the direction of multi-domain operations. Key areas addressed by this budget include readiness, people, nuclear deterrence, modernization, space and air superiority, multi-domain command and control, and science and technology development. According to Wilson and Goldfein, restoring readiness to win any fight, any time remains a primary objective in FY19. It funds 1.5 million flying hours at a cost of $8.7 billion. The budget proposes the purchase of 54,443 preferred munitions to reverse previous declining inventories at a cost of $1.8 billion. Additionally, the budget funds aircraft depot maintenance, parts, logistics support, training ranges, simulators, instructors and key infrastructure required to improve the quality of training in alignment with the National Defense Strategy prioritization of peer competition. The FY19 proposal initiates development of B-52 replacement engines and continues development of the Long Range Stand Off missiles and the replacement of the Minuteman III intercontinental ballistic missile. Wilson said the budget proposal funds the Air Force’s priority modernization initiatives to increase the lethality of the force. 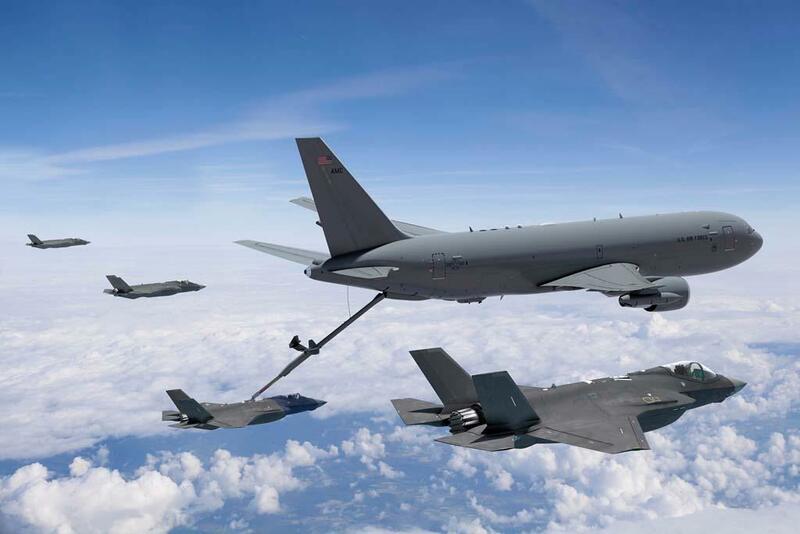 The FY19 request supports the purchase of 48 F-35A Lightning II fighters, 15 KC-46 Pegasus tankers, and continued development of the B-21 Raider. “We have to accelerate programs and get good value for every dollar we spend. There is a bow wave of modernization over the next 10 years. It's bombers, fighters, tankers, satellites, helicopters and our nuclear deterrent – they are all going to be modernized,” she said. The budget also supports the selection of the T-X advanced trainer aircraft and the replacement of the UH-1N helicopter. The FY19 budget proposes the modernization of seven E-3 Airborne Warning Command and Control aircraft (AWACS) and keeps the current E-8C Joint Surveillance Target Attack Radar Systems (JSTARS) operational through the mid-2020s as the service develops and transitions to an advanced battle management system. The Air Force proposes to continue the FY18 light attack experiment by developing concepts of operation and further defining requirements for fielding a force of U.S. light attack aircraft across the five-year budget plan.